Several ecologically important plant families in Mediterranean biomes have seeds with morphophysiological dormancy. Hidayati et al. 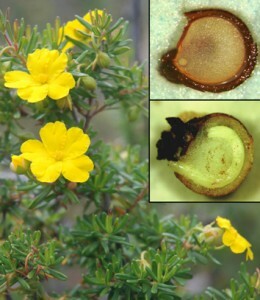 study four species of the intractably dormant Australian genus Hibbertia (Dilleniaceae) and find that although they are congeneric, sympatric and produce seeds of identical morphology, they show a remarkable level of variation in dormancy-break and germination requirements. The results have important implications for current classification systems of seed dormancy and highlight the difficulties, and caution required, in extrapolating dormancy requirements in biodiverse regions such as the south-west Australian biodiversity hotspot.